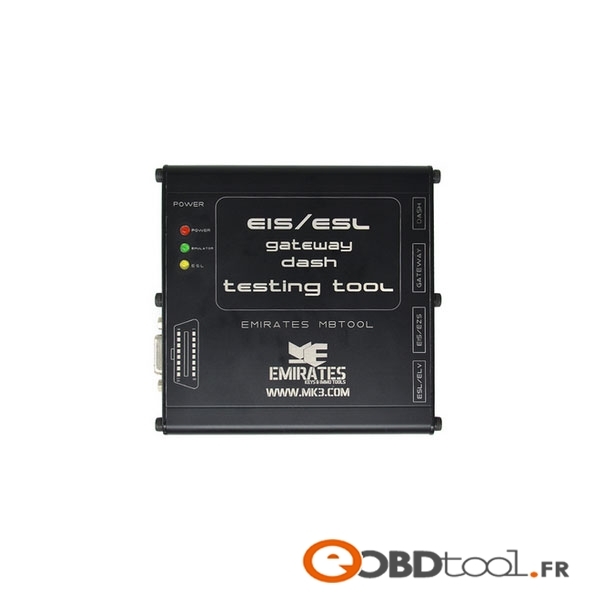 Comes with ESL Emulator inside, has automatically mode switching – read ESL using and Emulation mode. You can test both old (Motorola based EZS) and new (NEC based) units without the car – just connect them with special set of cables. This entry was posted in Programmateur de clés and tagged benz esl adapter, benz ezsadapter on January 25, 2018 by sales.